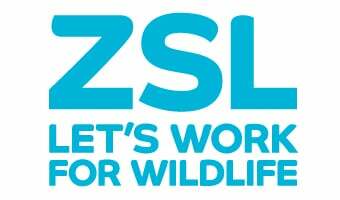 Help ZSL to ensure that we all continue to live in a world #WithWildlife. Over 58% of the world’s wildlife has disappeared since 1970. It’s a terrifying statistic. If these declines continue, it’s no exaggeration to say that the majority of our planet’s most iconic creatures could disappear completely within our lifetimes. These statistics, investigated and revealed throughout years of research and analysis by our scientists and conservationists here at ZSL, paint a sad picture but the future is not written yet. As an international wildlife conservation charity, we work in over 50 countries around the world to protect wildlife and their habitats. With your support we can do even more. There are a number of ways you can help to protect the future for wildlife such as donating online or by text and by sharing our video on social media with #WithWildlife to help raise awareness of our work. To find out how you can get involved in our conservation work click here. Find out how visiting ZSL Zoos supports our work for wildlife all over the world. ZSL is a charity working in over 50 countries around the world to help nurture and protect wildlife but we cannot do it alone. Help us to ensure that we continue to live in a world with wildlife. Join us in championing a world #WithWildlife by sharing a photo of your favourite animal on Facebook, Twitter or Instagram using the hashtag #WithWildlife and tag @OfficialZSL. Spread our message by sharing our video on social media to help raise awareness of our work to ensure that we continue to live in a world with wildlife. .
We created the Instant Wild app to bring amazing photos of wildlife to the wider public, to share the amazing wildlife we’re monitoring around the world and so you can get involved in our conservation work. If you have an iPhone or iPad you can download the free app and get incredible live wildlife images instantly sent to your device. You can help us to identify the animals you see in the photos, which adds thousands of hours to our conservation efforts. You’ll be able to help us identify iconic species from our Kenya cameras, including giraffes, zebras and rhinos. You will have an insight into the real life movements of wildlife in the Kenyan savannah and the Costa Rican rainforest. From spotting wildlife in your garden to helping with our projects on the River Thames, you can get involved with the world of conservation. Sign up to our conservation newsletter to get regular updates about ZSL's latest work and ways to get involved and support ZSL! ZSL and its partners in the Marine CoLABoration are leading the way to make London the first capital city to stop using single-use plastic water bottle free. If current rates continue, by 2025 there will be one tonne of plastic for every three tonnes of fish in the ocean. By taking the simple step to use a refillable bottle, you will help to protect the world’s ocean from plastic pollution. We're working to protect and conserve animals all over the world. Learn more about our conservation projects and read our latest conservation blogs from our experts in the field. What would a world without wildlife mean to you? Video of What would a world without wildlife mean to you? Elephant populations all over the world are being targeted for their ivory, and research suggests that the African forest elephant will be driven to extinction unless a concerted global effort is made to halt poaching, with over 65% now gone from the wild. ZSL has been working with the government of Cameroon to improve protection of key forest elephant habitats such as the Dja conservation complex by training and equipping eco-guards. This helps to tackle illegal wildlife activity in the region and empowers local communities to help fight wildlife crime in their forests. We are also helping to build capacity in another key elephant habitat - West Africa's W-Arli-Pendjari conservation complex. The region is home to more than 60% of the elephants in West Africa, and we will be helping to combat the ivory trade through the spatial monitoring system SMART and innovative 'poachercams'. ZSL is working to protect forest elephants in the Congo Basin in the face of a massive upsurge in illegal poaching for ivory. Illegal demand for the rhino horn is perhaps the most immediate threat to all species of rhinoceros. In Africa, the black rhino is critically endangered, having suffered a catastrophic 96% decline from 65,000 in 1970 to just 2,300 in 1993. In response, the Kenyan government established the Kenya Wildlife Service (KWS), which has created a number of fenced sanctuaries to protect the rhino. ZSL has been working with KWS since 1993 to protect species such as black rhino and elephant, to build conservation capacity and infrastructure, and to help it achieve its goal of increasing the number of black rhinos in Kenya to 1,000 by 2020. ZSL are improving law enforcement and ecological monitoring effectiveness with various partners across Kenya through use of new technologies to tackle illegal wildlife trade including a spatial monitoring tool known as SMART and Instant Detect a camera trap system that uses satellite technology. It allows images to be sent in real-time from virtually anywhere in the world and has been used to help tackle poaching of endangered species by providing an early warning system for rangers. ZSL works with the Kenya Wildlife Service (KWS) to protect flagship species such as the African elephant and black rhino. Around 15-20 million seahorses are illegally traded every year, and with other threats such as overfishing and exploitation, their future is seriously threatened. Research by ZSL has shown they are overfished by trawlers and fishers, while their habitats are polluted and destroyed. However our research continues to provide a scientific basis for changing regulations on seahorse harvesting, and setting up marine protected areas to protect seahorse habitats. We work with the UK Border Agency CITES team at Heathrow to monitor the trade in marine organisms, such as seahorses, coming into the UK, and research by Project Seahorse, a ZSL and University of British Columbia partnership, has also helped make the case for banning exports of vulnerable species further afield. ZSL is working to protect seahorses in the Philippines and elsewhere through research, community work and changing marine management policy. Share a photo on Twitter, Facebook or Instagram of your favourite animal using the hashtag #WithWildlife and tag @OfficialZSL to show your support for our campaign. The 2016 Living Planet Report released by WWF and ZSL reveals that overall global vertebrate populations are on course to decline by an average of 67 per cent from 1970 levels by the end of this decade, unless urgent action is taken to reduce humanity’s impact on species and ecosystems. Global populations of fish, birds, mammals, amphibians and reptiles have already declined by 58 per cent on average since 1970. Studies illustrate the decline in Tiger population from an estimated 100,000 in the early 1900s to around 3600 today. A landscape-based conservation strategy to double the wild tiger population. Wikramanayake et al., 2011. Emslie, R. 2012. Diceros bicornis. The IUCN Red List of Threatened Species 2012: e.T6557A16980917. Downloaded on 14 July 2016. Since 1977, the Grevy Zebra population has declined from 13,718 (Dirschl and Wetmore, 1978) to approximately 4,300 in 1988 (KREMU, 1989, Grunblatt et al., 1989, ZSL Living Planet index, 2016). Records in 2011 show the Grevy Zebra population at 2,827 (Grevy Zebra Trust, 2016). In 2015, it is estimated the figure is now between 2,000-2,500 Grevy's Zebra left in the wild. Based on the latest, reputable statical reports in 2011, this would represent a 79% decrease. Conservation and Management Strategy for Grevy's Zebra, Kenya Wildlife Service. Widespread illegal killing of bears and trade in parts, combined with loss of habitat indicate that this species is likely declining in most parts of its range, especially in Southeast Asia and China. Questionnaire surveys also indicate declining numbers in Taiwan, with areas of local extirpation caused by habitat degradation and illegal hunting. Japan appears to be the only range country that has documented an increasing number of Asiatic black bears, reflected by an increasing area of occupied range (Oi and Yamazaki 2006). Although actual data on population sizes or trends are lacking, it seems likely, given the rate of habitat loss and uncontrolled exploitation that the world population has declined by 30–49% over the past 30 years (3 bear generations) and that this rate will continue during the next 30 years unless abated by the implementation of significant conservation measures. Sunset over the Gir Forest National Park and Wildlife Sanctuary. The Living Planet Index is a measure of the state of the world’s biological diversity based on vertebrate population trends from around the world. New data released by WWF and ZSL reveals that urgent action is needed by governments on conservation, climate change and sustainable development. The latest edition of WWF’s Living Planet Report makes for stark reading. Our scientists look at the key findings and the questions they raise.